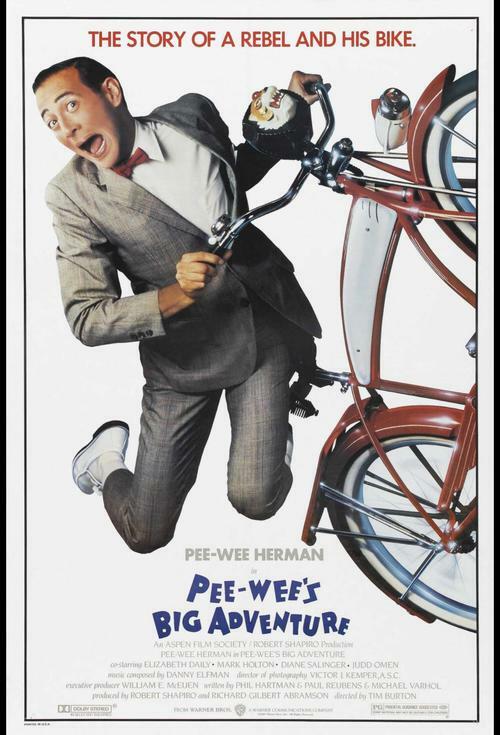 Co-written by Paul Reubens and Phil Hartman, Pee Wee's Big Adventure marks the debut of director Tim Burton, who stamps the entire film with his quirky trademark style. The premise: Pee Wee (Reubens), an overgrown pre-pubescent boy sporting a molded Princeton cut, blush, lipstick, and a shrunken gray flannel suit, lives an idyllic life in his bizarre home (some have compared the remarkable set design to the expressionistic The Cabinet of Dr. Caligari) until someone nabs his most prized possession: a fire engine-red customized bicycle. He then embarks on an epic cross-country search to find his lost love, not to mention more than a little adventure. Along the way, he makes friends with various oddball characters, visits the Alamo, endures various hallucinatory nightmares, and has a supernatural run-in with a spectral trucker. 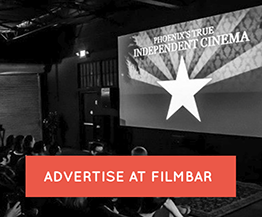 In this reprisal of his popular standup routine, Reubens is wonderful as the nerdy man child; he plays it silly, yet he manages to imbue the role with some sensitivity without ever seeming maudlin. The score by Danny Elfman is terrific -- as is the case in nearly every film Burton has directed -- and the script is fresh and inventive. Some of the most memorable moments: the opening sequence involving Pee Wee's morning activities is a stroke of genius (note the bunny slippers and talking breakfast), as are the scenes at the truck stop, and the "Hollywood" version of Pee Wee's story at the end (starring James Brolin and Morgan Fairchild in surprise cameos). In all, Pee Wee's Big Adventure is a delightful film, enjoyable for children as well as adults.